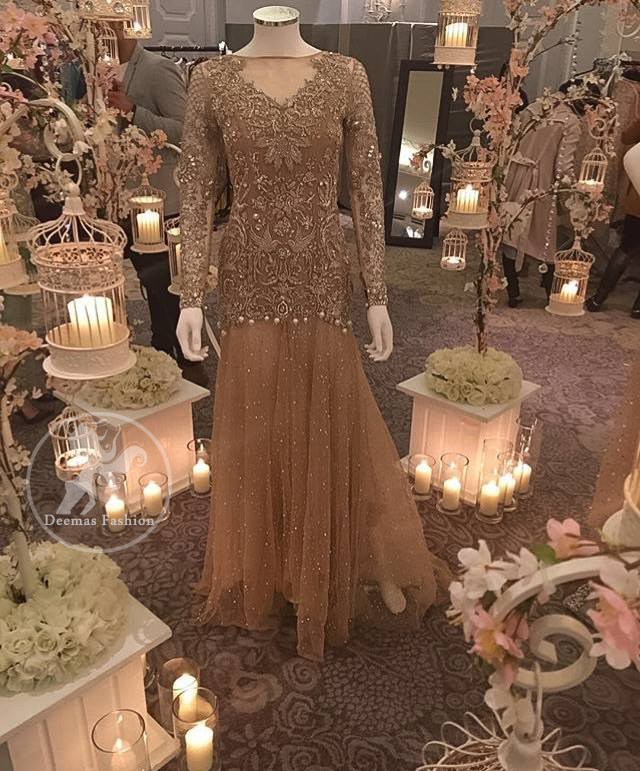 Tags: Back Trail, Full Sleeves, Lehenga, Net, Pale Peach, Party Wear, Short Shirt. Comes with flared back trail lehenga. 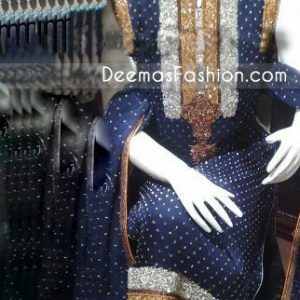 Work includes kora, dabka, stones, pearls, sequins, beads and resham.